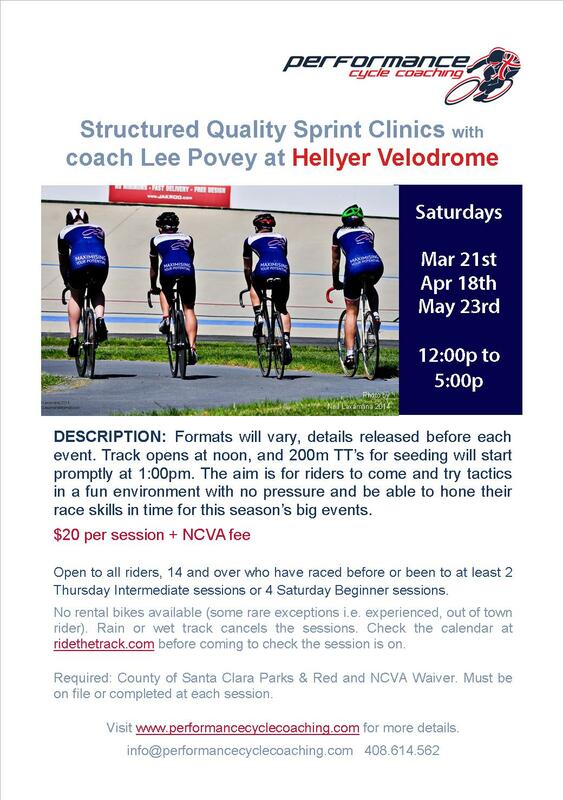 Quality Sprint Clinics with coach Lee Povey are back at Hellyer Velodrome. Formats will vary, details released before each event. Track opens at noon, and 200m TT’s for seeding will start promptly at 1:00pm. The aim is for riders to come and try tactics in a fun environment with no pressure and be able to hone their race skills in time for this season’s big events. 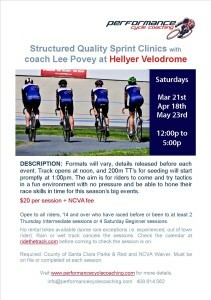 Live feedback from coach Lee Povey will be available after each sprint round. ⇐ PCC Tuesday Night Masters’ Endurance Racing!